A tile floor is a dangerous place when you are less than a quarter inch tall. Humans, unaware or indifferent to your presence, may squash you without malice but you are still just as dead. I thought of this as I gazed upon the pill bug on my floor. Liberating it was easy as it quickly rolled into a slick BB-sized defensive ball. I slid a business card underneath and deposited the lost soul outside, happy to rescue the little guy. Pill bugs -- often called roly polies, sowbugs, armadillo bugs, woodlice and potato bugs -- are every child's favorite insect. 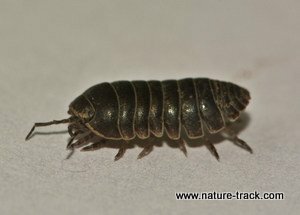 The only problem with that is that a pill bug, despite the name, is not an insect. It is a crustacean and is more closely related to crayfish than to insects. As crustaceans, pill bug blood contains hemocyanin instead of hemoglobin making it blue rather than red. And, like most crustaceans, the mother carries eggs and newly hatched young in a small pouch between abdominal plates. Technicalities aside, pill bugs are a favorite because they are harmless and easy to find. Members of the genus, Armadillidium, also have that cute habit of curling into a ball when disturbed. They make great pets; living up to three years and requiring little care other than a damp home and plenty of rotting vegetation to eat. Pill bugs likely need no introduction, but perhaps at least a little description is in order. Pill bugs are one of a relatively few crustaceans that have adapted to terrestrial life. They have an 11- to 13-segment exoskeleton of overlapping scales. The first seven bear a pair of jointed legs. If there are two pairs per segment it is a pill millipede. The blocky head carries a set of antennae. Most are small, less than half an inch long, but there some marine relatives that stretch to more than 14 inches and may weigh nearly four pounds. There are about 4,000 species of pill bugs and they are found in almost every corner of the world. 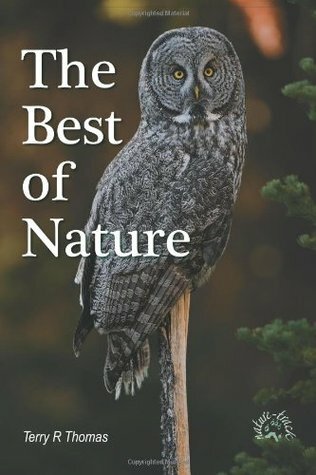 There are dozens of species in North America. Although pill bugs are now found worldwide, they arrived in North America with European settlement, hitching rides on loads of cargo. Since we continue global shipping today, we are likely to see additional species colonize suitable habitats. Pill bugs are major players in turning dead vegetation into compost that builds garden soil. So, although they are occasionally guilty of munching on such delicacies as ripe strawberries or tender seedlings, they are far more beneficial to a garden than they are harmful. On occasion, pill bugs may invade homes as conditions dry outside in the summer. But they don't spread disease and don't damage structures so even that trespass can be views as beneficial, as it indicates moisture issues in the home that should be addressed. Catching pill bugs with my granddaughters for the accompanying photo brought out what little kid is left in me. And for humans, that may be the best thing about pill bugs.